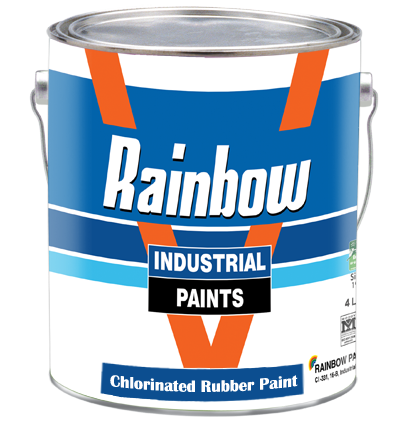 Rainbow Chlorinated rubber paint is a medium chemical and acid resistant paint. This can be used on concrete, iron, Zinc, and wood. No special treatment is required only general surface preparation such as removal, dust, rust and green.